You can pick only one. Which would you choose? Before you decide, here’s some information that will help you to make the wisest choice: You have to jump 10,000 feet out of an aeroplane. 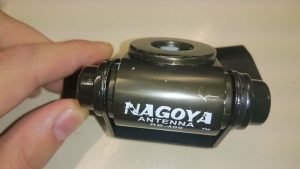 Beware of fake Nagoya antenna products! This obviously non-genuine product was sold by what I thought was an Australian eBay retailer, but in fact was drop-shipped from mainland China. The seller refunded me within 15 minutes of my eBay complaint. Hello, how can we not help you?